On the merits of Gears of War 4, Vancouver-based Microsoft subsidiary, The Coalition, is diving back into the antics of the third-person shooter franchise with Gears 5, shortened title and all. Whether we need a new Gears of War game is a point of contention, but with wildly successful sales, including surpassing the likes of perennial soccer sim FIFA 17, it’s no wonder Microsoft has opted for another incursion into the ongoing feud between humanity and the dreaded reptilian Locust Horde. It’s hard not to compare Gears 5 with seemingly inexhaustible franchises of the ilk of Assassin’s Creed that spectacularly ran out of steam before bursting back to life with the excellent Assassin’s Creed Origins. There’s a sense the Gears of War series may have run its course and Gears 5 may be a bridge too far. Regardless, Gears 5 is heading our way. What can we expect and how is it shaping up? We’ve scoured every bit of information circulated by Microsoft and The Coalition for all the best nuggets, so you don’t have to. Announced at E3 2018, the development of Gears 5 is approaching completion with a release window marked for sometime in 2019. The reveal wasn’t a huge surprise given a Walmart listing faux pas early in 2018 leaked the game ahead of schedule. In a hot potato charade of buck-passing, Gears of War was created by Epic Games of Fortnite fame, before the rights were handed over to Microsoft Studios in a sweeping acquisition in 2014. The publisher then passed on the development baton to The Coalition from Gears of War 4 onward. If we consider the release of Gears of War 4 as a template, which was officially announced at E3 2015 and then dropped in October 2016, a fall or Christmas 2019 window for Gears 5 is a reasonable assumption to make. A beta may also surface in spring 2019 as it did with Gears of War 4 in the spring before release. Gears 5 is already up for pre-order on Xbox One, which is a good sign release isn’t too far away. As we’re already in 2019, further details are more or less an imperative of any marketing push worthy of the name targeting release. Adding heft to this is the fact that Gears of War is among a short list of anticipated Xbox One exclusives and Microsoft are undoubtedly adamant about maximizing exposure with a well-financed campaign trail leading to release. In other words, things should kick off in earnest shortly. Microsoft has jotted down Gears 5 for release on Xbox One and Windows 10 PC. Microsoft unveiled the first Gears 5 trailer at E3 2018 depicting a harrowing scene where protagonist Kait faces the grief of losing a loved one, whether its a friend or family member is unclear. The pace soon picks up as Kait reveals strange nightmares caused by a peculiar amulet plaguing her sleep. Disobeying orders, she dramatically sets forth to get to the bottom of her link to the Locust. 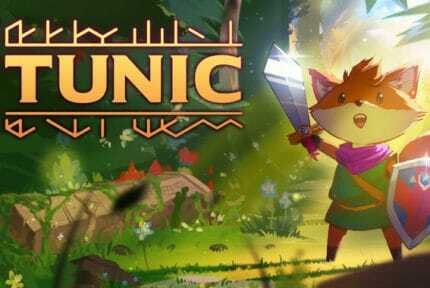 We get a glimpse of various biomes including icy peaks and forests, verdant jungles, and a ruined city teeming with enemies. 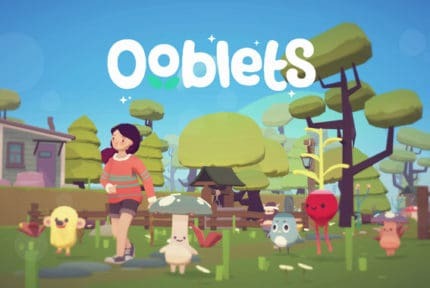 The trailer is rounded off by a titillatingly short snippet of what appears to be gameplay. A shorter announcement trailer was released simultaneously showcasing very much the same in a more condensed format, but with a few different clips of rampaging Locust enemies. 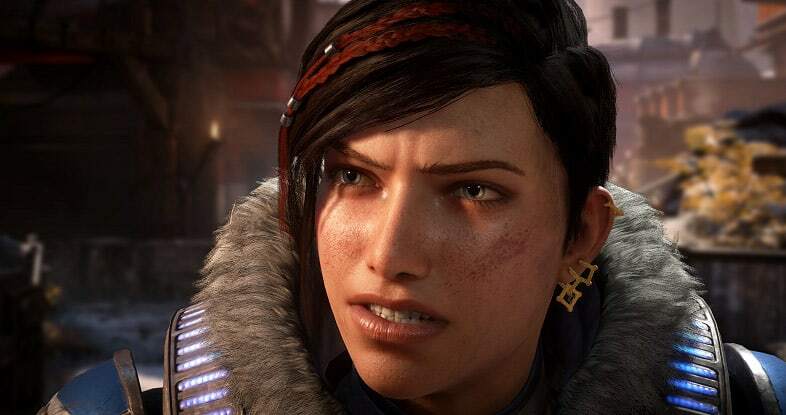 In Gears 5, players follow the story of Kait Diaz, a returning protagonist from Gears of War 4 – and arguably that title’s main character given the story revolves around saving her mother. The game follows on from the events of Gears of War 4 and humanity’s open-ended strife with the tunnel-dwelling Locust, although the time frame is sketchy based on the currently available information. Kait’s origins are murky with a sinister link to the Locust in her ancestry, and she is considered somewhat of an outsider. Deciphering her past forms the central narrative arc of Gears 5 alongside uncovering the secrets of the Locust. In classic gaming style, the search for answers propels Kait forth with the odds stacked against her. Around her, humanity’s homeworld, Sera, is on course for total devastation as foes ally to exterminate the last human survivors. She must travel a world made up of lush, varied biomes in what The Coalition is describing as the largest and most diverse Gears world to date. 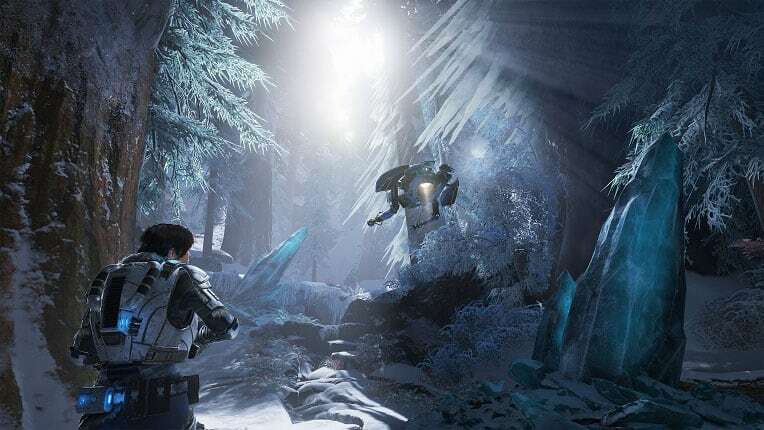 The Coalition has plugged glaciers, tundras, crimson deserts, and sunken ruins although the trailers suggest a host of other locations to explore, including places familiar to fans of the series. Alongside these lofty pursuits, Kait must ensure the survival of her squad of rough and ready Coalition of Ordered Governments soldiers. Among these, Delmont Walker, JD Fenix, and series veteran Marcus Fenix return from the cast of Gears of War 4 alongside new characters including a certain mysterious Fahz Chutani. Overall, the story will take a two-pronged approach focusing on Kait’s journey of discovery and the war across Sera. Although we’ve yet to get our teeth into proper gameplay footage, Gears 5 is sure to exhibit the same basic mechanics of Gears of War 4 with intense third-person, tactical, cover-oriented combat-heavy gameplay, packed with grueling violence and bloodshed. Gears of War 4 was an opportunity for The Coalition to prove it had the gumption and know-how to create an authentic Gears game. With this in the bag, the developer is aiming to take more risks and stamp Gears 5 with a more idiosyncratic veneer and distinctive The Coalition personality. During a panel at Microsoft’s rowdy X018 event in November 2018, The Coalition studio head Rod Ferguson said the team is going for innovation, a host of exciting new changes that though different will still feel distinctly like Gears of War. Accordingly, this time around The Coalition is offering a more open experience where movement is much less constricted to the buildings, ruined cities, and factories of the past entries. 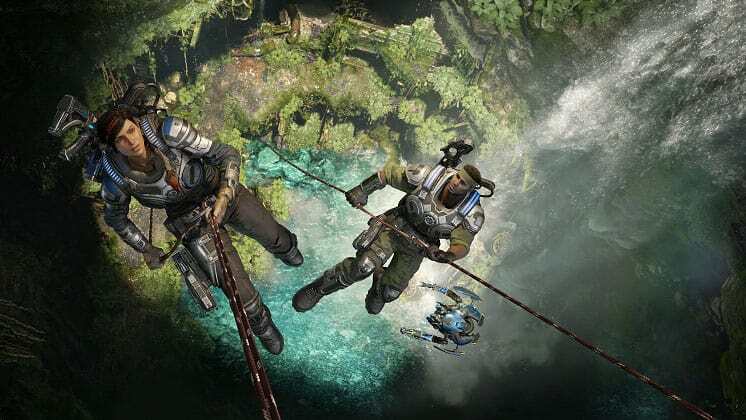 Gears 5 delves into a more vibrant selection of biomes and locations. Ferguson talks about ”dramatic contrast” in locations, ”going from very small, cramped spaces to large open spaces”. To bring this ambition to life, Gears 5 features a windsail-powered skiff-snowmobile hybrid able to carve a path across frozen expanses and deserts alike, as seen in the trailers. Since the fanfare of the E3 2018 reveal, Gears 5 news has been all but absent from the newswire. However, we’ve managed to pull a few snippets together to tide you over until the meatier details surface. Microsoft announced that Gears 5 would run at a solid 60 FPS in 4K Ultra HD boosted by HDR on Xbox One X regardless of the mode, while the Xbox One and Xbox One S are to run at a standard 1080p. Additionally, competitive modes are in the works though neither Microsoft nor The Coalition has offered any firm details as of the time of writing. We assume these will be designed to foster an eSports scene much in the same mold as Gears of War 4, which forms part of Major League Gaming’s roster of titles. As for co-op, split-screen and online co-op return with cross-play enabled for PC and Xbox One players through Xbox Play Anywhere. Gears 5 also form part of Microsoft’s Xbox Game Pass catalog when it drops. Alongside Gears 5, Microsoft is also developing a mobile game titled Gears POP! ; a crossover with Funko’s inexplicably popular POP! Vinyl figurines with a much lighter, whimsical take on the oft somber atmosphere of Gears of War. Gears POP! also releases in 2019. 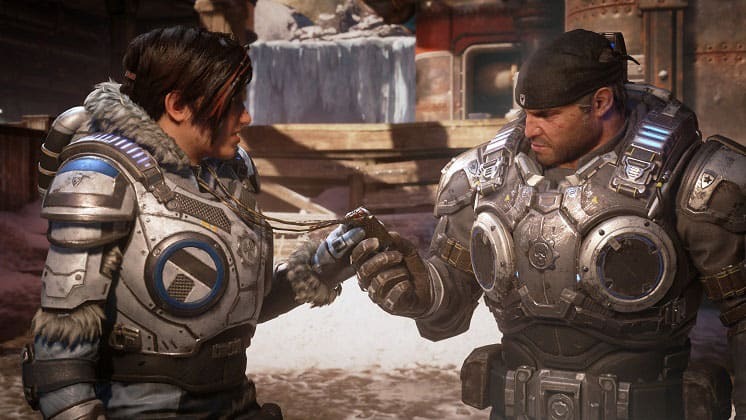 Gears 5 lead Ferguson also revealed that Gears of War was receiving the motion-capture treatment for the first time in the series to bring voice and motion together. The aim is to provide more compelling scenes oozing with not only emotion through the voice acting but genuine physical responses to stressful situations and moments. The success of Gears 5 hangs in the balance of how well The Coalition can partner the drive to imprint its unique vision on the history of Gears of War with maintaining the ethos that courses through the heart of the franchise. For fans of Gears of War eSports, it will be interesting to see how Gears 5 fits into the co-op competitive third-person shooter landscape and whether it can reach the heights of its predecessors. With the game bound to release within the next twelve months, fleshed out features and a look at substantial gameplay footage shouldn’t be too far off.